Sliding door tracks and fixtures. Hinges, handles and misc. fittings. Door Heater cables, tapes and transformers. Coldnet are specialists in the installation and maintenance of Bespoke Cold Rooms, Modular Cold Rooms and Air Conditioning covering many companies throughout the United Kingdom. 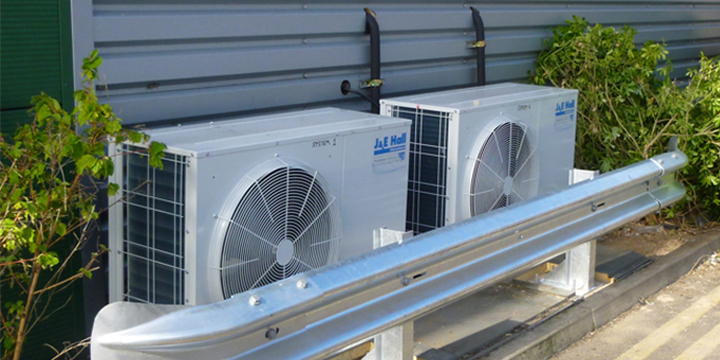 We have developed an excellent reputation by offering an efficient and fast service on all Refrigeration and Air Conditioning breakdowns. If you have had an Air Conditioning or Refrigeration system installed, the Refrigerant phase out dates should be a cause of concern. Does your Company follow new F-Gas regulations? The F-Gas regulation is applied on all Refrigeration systems that contain more than 3 Kilos of F-Gas Refrigerant. Copyright © 2019 Castlekemp Ltd. All rights reserved.